GRAND RAPIDS, Mich. – Kicking off six days of grand reopening events on Sunday, Aug. 19, SpartanNash is celebrating the expanded products, features and amenities available at the newly renovated Family Fare Supermarket in Allendale. 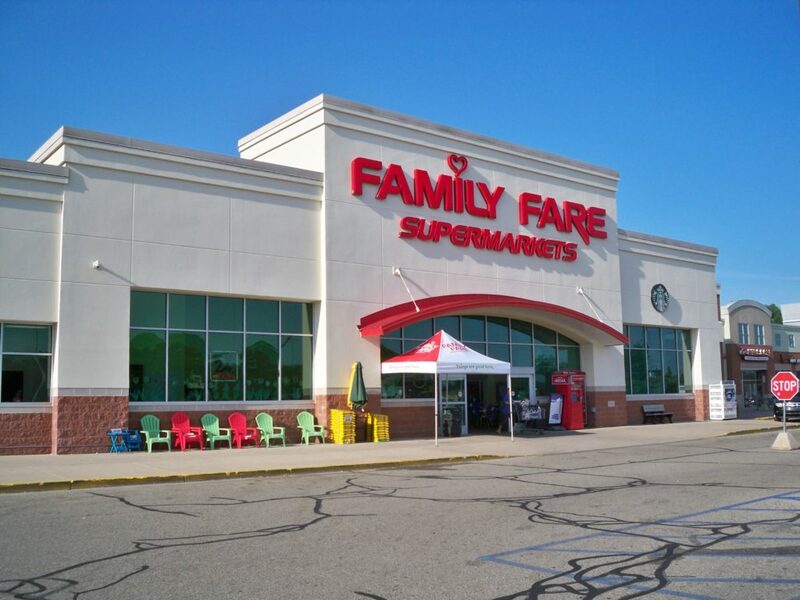 Showcasing its commitment to fresh meat, produce, bakery and deli options and convenience and quality in every aisle of the store, the Family Fare Supermarket located at 6370 Lake Michigan Drive recently underwent a $1.2 million transformation to better serve its store guests. The Family Fare Supermarket now features a Fresh Divide station – where store guests can select their produce and have it chopped, diced or sliced on-site for no additional cost – as well as a Betty Kaye’s Smokehouse, where smoked meats are prepared onsite by expert pit masters and paired with special recipe rubs, sauces and hot sides such as mac and cheese and cornbread for a complete take-home, family-style meal. New pet center, including food, treats, toys and more for all your furry friends’ needs. Fast Lane curbside and at-home delivery for families on the go or short on time. Expanded bakery and deli sections, featuring a menu of specialty, made-to-order bakery items and grab-and-go meal solutions. The transformation of the Family Fare began in May, when it was reset to make it easier for store guests to navigate the perimeter and aisles. New signs, flooring, décor and energy efficient lighting were installed to update the interior of the store, and the exterior received a facelift. The store is open 24 hours a day, with pharmacy hours from 8 a.m. to 8 p.m. Monday through Friday, 9 a.m. to 5 p.m. Saturday and 10 a.m. to 4 p.m. Sunday. The Quick Stop fuel center is open 6 a.m. to 11 p.m. Monday through Saturday and 7 a.m. to 10 p.m. Sunday.